The Ogden City Attorney&apos;s Office has released footage of police shooting and killing a man in a parking garage Feb. 21. Surveillance footage, released Friday to the Standard Examiner, depicts a man running through a hallway in the parking garage at 313 E. 23rd St.
Later, a man in the same sweatshirt runs back through the hallway, stops, turns and points what appears to be a handgun toward police officers. Smoke comes from an officer&apos;s gun as the officer fires a shot, and the man falls to the ground. At least three officers can be seen cautiously approaching the man&apos;s body, guns still drawn. Their faces and the license plate of a car parked in the frame are blurred, an edit applied by the Ogden City Attorney&apos;s Office, the Standard story says. Police said 25-year-old Bartolo Justice Sambrano, the victim, and another man had been prowling cars and ran when an officer confronted them just before midnight. The two split up, and Sambrano&apos;s altercation with police left him dead at the scene. Police found the other man, 20, nearby and after questioning, he was released. Ogden Police Chief Randy Watt said the day after the shooting that Sambrano had a criminal history and gang ties. 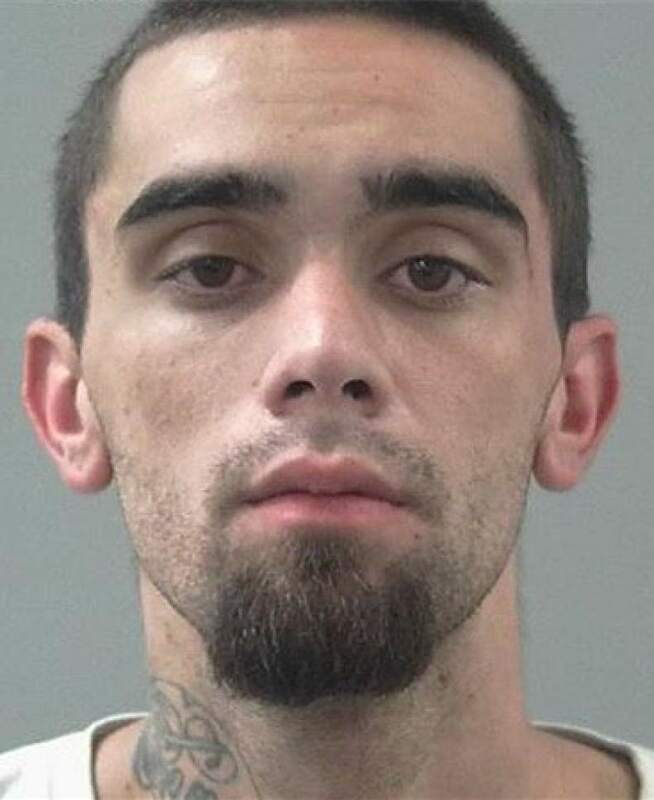 Sambrano had been a fugitive since Dec. 9 when he escaped from a work release program at the Weber County jail, where he had been incarcerated for illegal possession of a firearm, Watt said. Sambrano also was sought in a Feb. 15 home invasion robbery during which shots were fired but no one was injured. Both officers fired, Watts said, but it was not clear whether bullets from both officers&apos; guns struck Sambrano. More details on the fatal injuries would come from an autopsy, he said. According to the Standard, two body camera videos from the officers were also released. The Ogden City Attorney&apos;s Office did not respond to request for the videos from The Salt Lake Tribune on Friday night. The incident occurred the same night as another fatal police shooting in Weber County, when Roy Police shot and killed another man after he allegedly pulled a revolver on the officers.